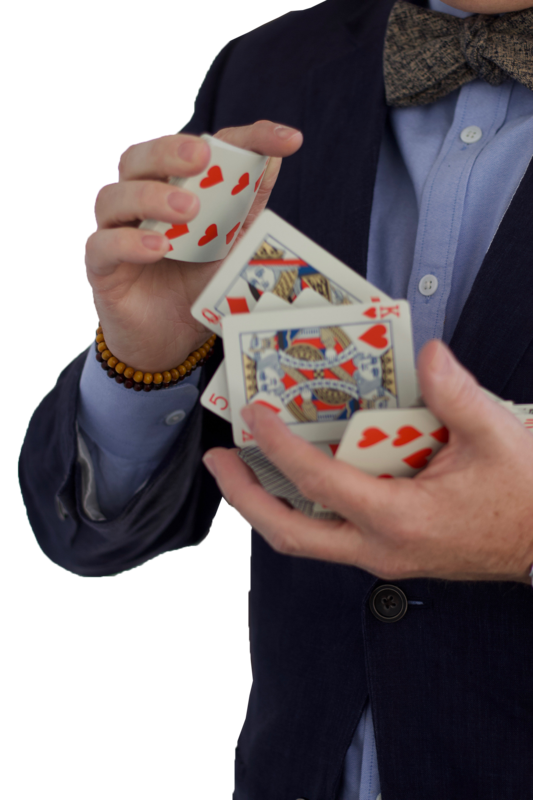 As a one-man operation, why would I devote hours to reading about business and Leadership? In November of 2017, I signed up for Michael Hyatt’s LeaderBox program. I am a Hyatt fan. I am in his “Platform University” for the third year. I’ve done his “Best Year Ever” Course, twice and also “Get Published” course, too. He’s a great thinker and creator. 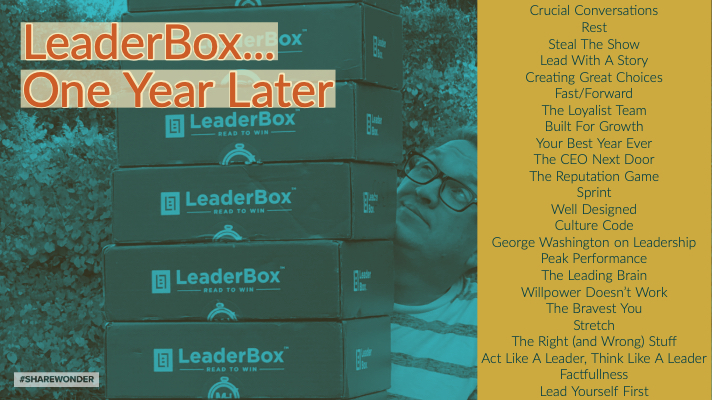 So, when he pitched the idea of Leaderbox—a monthly curated box with two leader-oriented books and an in-depth activation guide, I jumped in. My goal in 2018 (was) is to read 40 books, and this I knew would provide the drive and the content for more than half of those. Until my summer schedule, I was on track…reading for 20 min a day, five days a week, it’s a pretty simple task to complete. Except when you are gone for weeks at a time, speaking and performing multiple times in a day…and trying to give your family the time they need, too. So, by the time August came I was about a month behind. Thanks to the audio version of a few of the books, I was able to use the hours behind the wheel to catch up on “reading” and then, go through the guides in the evenings… answering and pondering the questions. So I believe I’ll be all caught up by the end of December. Yay! 1) Because I can. I am in charge. When I am in my office, I read, write, think and create. 2) I want to become a better Leader to those I influence: my family, my friends, my contractors, my ministry donors, and even my doubters. 3) Because someday I may need to Lead others in more of a structured environment. I may not. However, I may. So I’ll be ready. 4) Because I love books. I love to look at them. Hold them. Smell them (weird, right?). However, even more, I know that author (in most cases) had put his heart into this work I am holding. I respect that. Also, when I am finished, I will have more knowledge than when I started. 5) Because the knowledge that I am gaining will help me in all my pursuits. Family. Ministry. Business. 6) Because I am writing my book…and as I soak in titles, book covers, colors, font choices, binding…I am creating how I want my writing to look, feel, and read. 7) Because being in “charge” doesn’t mean I can be lazy. Every day I’m Hustlin’. In a good way. I am reaching out, connecting and creating conversations with people whom I might be able to serve. I’ve had several ideas come from pondering the material of these books. 8) I crave a challenge. 40 books? Sure. (gulp). 9) I want to grow in wisdom & knowledge. “But when do you have time to read?” Well, I don’t watch TV. I watch an occasional show, and I love movies…well, good movies. However, I don’t have time to sit in front of a T.V. watching someone’s imagination. I’ll instead use my own. It looks like I’ll finish 2018 with over 100 nights on the road. 75+ of those nights were spent in a hotel. The T.V. rarely ever comes on in the room. (I watched the World Series this year, though.) I play music, listen to podcasts, read, think, write and sleep. I do my best to embrace the solitude when I find myself alone. I loved reading this, Sam! I’m in the LeadBox tribe as well and I enjoy the challenge of reading stuff I would never pick up otherwise. I’m a solo-preneur as well, so I wonder if you find that all the books on “culture” and “team” deflect off your needs or if they stick and apply? Sorry, Scott! I only read your signature and though it said, “Sam.” 🙂 Also, the captcha math is too hard. As a music major, I only had to count to 8.